Founded in 1986, the Rails-to-Trails Conservancy has built over 20,000 miles of biking and walking trails in abandoned railroad corridors. 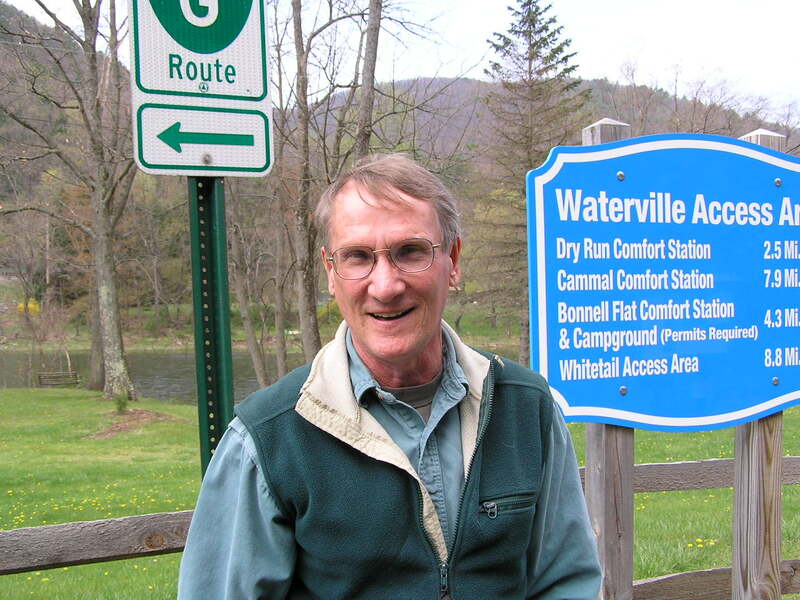 Carl Knoch, Manager of Trails Development for Rails-to-Trails’ Northeast region, has been engaged in that effort for well over a decade now. I spoke to Carl about his work in trail development and advocacy, the Conservancy’s work building regional trail networks, and the connection between trails, bike tourism and small-town economic development. What does your work as a manager of trail development entail? As manager of trail development for the northeast regional office, I have responsibility in eight states. New York, New Jersey, and all of New England to provide technical assistance to organizations and municipalities that are interested in developing rail trails on abandoned rail corridors. The technical assistance can be anything from fielding the phone call or email of “I have an abandoned rail corridor in my town. I would like to turn it into a trail. What do I do next?” And that opens up a whole bunch of other steps that somebody needs to go through. For instance, you have an abandoned corridor, abandonment is a technical term, is it really abandoned? Who owns it? Go to your local county or municipal planning organization and find out who the owner is. Then we need to contact the owner to find out if it’s available for trail development through an easement or through purchase of the corridor. We also help people decide what kind of surface to put down, what kind of usage to allow, things like soil contamination and others in a whole range of questions that come up. I was just exchanging emails with a guy up in Connecticut who’s interested in finding out the economic benefits of converting their rail corridor. So I sent him a few reports we’ve done on that particular topic. We’ll definitely circle back to economic development, but first tell me how you got involved in trail advocacy? I was working as a director of marketing for a computer gaming company in Hunt Valley, Maryland. To avoid rush hour traffic after work, I would go over to a rail trail that was within a couple miles of my office and bike about 10 miles from the start of the trail up to a little town called Monkton, then put my bike on the car and drive home with no traffic. Then my wife and I moved to Pennsylvania in the early 90s. There was a little rail trail under development there about two miles from our house. I would go down and ride that a little bit. In 1998, my wife saw a notice in the newspaper that the authority that was building that rail trail was looking for a board member. I sent them a copy of my resume and I was appointed to the board. It turned out I was the only applicant. That 21 mile trail from the Maryland state line to the city of York opened in August of 1999. 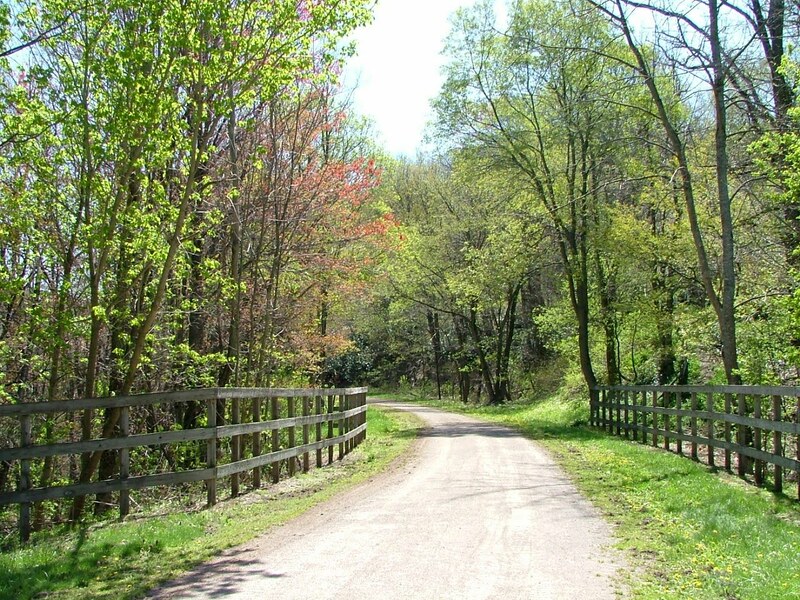 In 2000, I was appointed to be chairman of the York County Rail Trail Authority, a position I still hold 13 years later. We’ve worked on some other trail projects since. We resurrected a project that was started in 1976, but never went anywhere. So now we’re working on building a 16 1/2 mile trail in a trolley corridor and a 6 1/2 mile extension to the existing Heritage Rail Trail. Eventually, like a lot of computer game companies, the company I was working for went under. They asked me if I wanted to move to a new company in California. I said you haven’t made any money in the last five years, no thank you, and then started doing some consulting work. That consulting work actually lead to some projects that I worked on for the Rails to Trails Conservancy. I was working for them when they created a new position called the Manager of Trail Development. I submitted a resume and the Vice President who reviewed it said it looks like the job description was written from your resume. So that’s how I got involved. The Great Allegheny Passage trail has been a boon for the small towns it passes through. What projects do you have in the works right now that you’re excited about? From a trail development perspective, one of things we’re really excited about working on is something in the Philadelphia Metropolitan region called “Circuit.” It’s a project to start to interconnect the dozens and dozens of trails in the Philadelphia-New Jersey area. They’ve all been developed independently as community trails and they just don’t connect to anything. Making the connections is interesting work because it’s very challenging. There is no natural connection. You kind of have to look at the local road network, look at utility corridors, existing rail corridors if you can do a rail-with-trail project, and find some way to make that connection. If you have an abandoned rail corridor it’s fairly easy to build a trail on it. But when you’re starting to connect trails across municipal borders and boundaries, it becomes much more challenging. Another thing we’re really excited about right now is trying to advance the concept of rails-with-trails. We looked at 88 rail-with-trail projects across the country and used that information to try and convince other short line metro rail systems to allow trail development within their corridors where it’s practical and safe. One of the major conversations in bike advocacy right now is the economic impact of bikes, and particularly bike tourism. What kind of financial impacts are successful rail trails having in the regions they’re in? When the Heritage Park Rail Trail opened in 1999, I did a trail user survey and economic impact analysis. My background is marketing and market research. Unlike a lot of people in the trail business who have planner or recreation backgrounds, I have a business and marketing research background. I did the study primarily to support future grant requests for additional trail development. And that’s really how I got my consulting business, doing economic impact studies and trail user surveys. We found that in many cases, a trail that connects two communities has an economic impact in the range of millions of dollars annually. It’s people coming to town and stopping at a local restaurant or local gift shop or local bike shop and purchasing clothing or new bikes or having lunch. A little town that is 1.9 miles from my house called New Freedom has, within one block of the trail, a bike shop, two restaurants and an ice cream stand. None of that was there prior to the trail being developed. When you see economically successful rail trails, is it because a community has built up businesses around the trail and benefited from it? Yeah, that’s really it. In small communities like the ones along the Great Allegheny Passage out in western Pennsylvania and western Maryland, stores opened because of the trail. People saw that there was a need for a bike shop in town and opened one up in a little town called Rockwood, Pennsylvania. When I was there in 2007, the guy was basically running his shop out of a storage shed along the trail. I was there in 2012 and the guy had expanded into a fairly sizable building. There was no bike shop in Rockwood. In the town of New Freedom, the ice cream stand owner had his stand in another town originally. 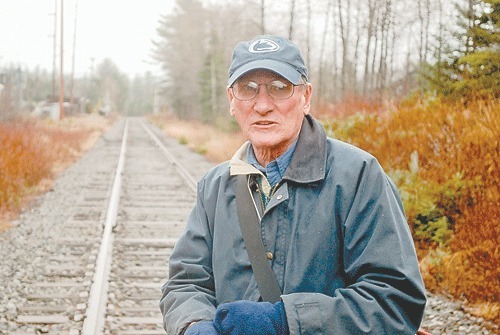 He saw the rail trail and opened up within a block of the trail. Bed and breakfasts are popping up like weeds along the Great Allegheny Passage to fill that need. It’s a 150 mile trail, so if people are going to do 50 miles a day, they need a place to stay. People have purchased older homes in these little towns and turned them into a B&B. Very cool. I think economic development from bike travel is one of the best things happening in bicycling right now. Absolutely. Building rail trails creates a need and an entrepreneurial spirit will rise to fill that need. Carl on Pine Creek Trail. Of the many rail trails in this country, do you have a favorite? Of the trails I’ve been on–and because I work in the Northeast most of my trail riding has been in the Northeast–I would have to say the Pine Creek rail trail is probably my favorite. It runs from Jersey Shore, Pennsylvania to Wellsboro, Pennsylvania. It’s 63 miles run. Runs right along Pine Creek through State forest and park land. It’s just a gorgeous, gorgeous trail. This entry was posted in Advocacy, Interviews and tagged best bike paths, bike tourism, economic development, great allegheny passage, pine creek trail, rails to trails conservancy. Bookmark the permalink.